Download the world's perhaps fastest Virtual Private Network. FastestVPN is optimal for anyone who prioritises privacy online. There is a wealth of VPN services on the market, and VPN services are not exactly new either. But in recent years, the VPN service has gradually been perfected. An obvious example of an excellent VPN service is FastestVPN. FastestVPN has a number of useful functions, and they are all well developed. 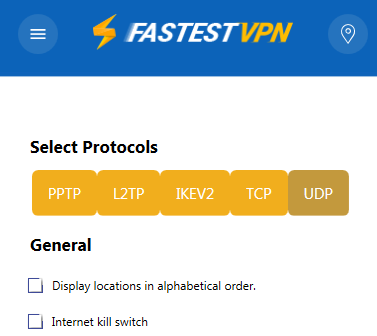 Basically, FastestVPN is one of the best VPN services on the market at this time. VPN stands for Virtual Private Network, and works more or less as an intermediary between VPN proxy server services and your local IP address. The VPN service's proxy server has some kind of fake geographical somewhere in the world. It is usually possible to choose which country you want to connect to. That is, when you search the web, your local connection is sent to the proxy server and then forwarded to the destination server. Hence the term comes as an intermediary. The great advantage of this is that if, for example, has established a connection to a proxy server in America, then one can advantageously associate with the American Netflix and see its content. It is even possible to use one's Danish Netflix account to view the American committee. A previously well-known problem with this was that one's internet connection was often rather dull, since one's connection had to be forwarded to a proxy server rather than attaching itself directly to the destination server. But with the development of technology, this has changed. However, there are still many VPN services that provide dull internet connection, but with a service like FastestVPN, one can hardly notice that it is even switched on. As mentioned earlier, all VPN services use proxy servers to create an anonymous connection. The big advantage of FastestVPN is that they have proxy servers in over 22 different countries, and they all promise fast connectivity. The above is an example of which countries have available proxy servers. If there is no server in a country that you want, you can request that FastestVPN be created one. This is just one of the good parameters of FastestVPN's excellent user-friendliness, but we will find it in the following section. Besides being an excellent VPN service, FastestVPN also has many other benefits. Below are our favorite features. This firewall contributes to optimal security by blocking possible cyber attacks. This means that FastestVPN ensures anonymity and security. Advertising can be incredibly frustrating. FastestVPN's built-in Adblocker takes care of removing the most annoying of them for you. With FastestVPN it is possible to switch between as many servers as you want. The service also has a large range of servers, so one can freely change one's geographical location without risking that one's data is abused. If you need to download larger files, it is usually best to do through torrents. FastestVPN offers a P2P client where you can just download torrent. It is directly integrated into the program and therefore does not require extra downloads. It is possible to create up to ten connections at once with FastestVPN. If the accident is out and for some reason loses connection to the Internet or FastestVPN, services automatically provide for reconnect so that one's activities remain private. Most have a myriad of devices where they can surf the internet. Therefore, FastestVPN has from the beginning made sure to develop their product for as many units as possible. FastestVPN is designed for Windows, Mac, iOS, Android, Kodi, Roku, Amazon Firestick, Android TV boxes, Xbox, PS4, Linux and Apple TV. So no matter how many different devices you own, you can definitely keep your data usage private. In addition to being one of the most well-developed VPN services we have ever used, FastestVPN is also one of the most user-friendly. This is due, among other things, to the simple but extremely functional design. The design in FastestVPN is relatively minimalist, and it contributes to the good user-friendliness. All functions are well-placed and you do not have to mess with the program long before you know it in and out. The design compliments apply to all the different device developments. No matter which device you use FastestVPN, it is incredibly easy to find around. The ease of use is undoubtedly the excellent support of FastestVPN. On the developer's website, they are always ready to answer all kinds of questions, whether there are problems with the product or a payment problem. They are also quick to respond as they use live chat that pops up as soon as you visit the website. For more complicated issues, then it is advantageous to visit the support tab of the website, where you can usually find the answers you have. 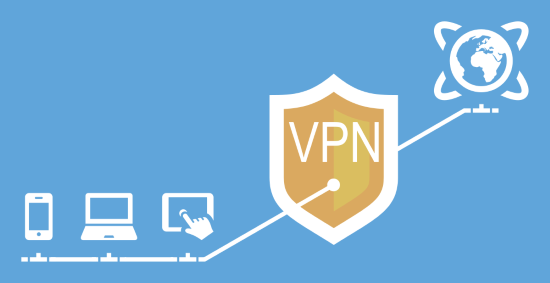 The VPN market is a competitive market, and it is only the best that survive the time. We have reviewed and tested a myriad of VPN services, and over the years they have become better and better. However, FastestVPN differs from the others, as this service optimally utilizes the latest technologies, resulting in an excellent user experience. If you want your privacy online to remain private, then FastestVPN is probably the best option. Although you have to spend a little money, you get a great deal for incredibly little. FastestVPN therefore receives a warm recommendation from us. Find FastestVPN, mark it and choose "Uninstall"
Should FastestVPN has been damaged or corrupted and thereby difficult to remove we can recommend you finding help to uninstall it here.